Hello, awesome people at iPi who constantly improve the quality of the software. I've been using it for a while, about 4 years or so, and I appreciate the program and it's functionality. The more I use the more I get bothered by one thing though. Actually, few things but it can be described as lack of any saved preferences. 1. I believe that everything from the View tab should be saved, same goes for skin/video transparency. Frankly I don't understand why it's not a feature. 2. Another thing is the actor settings. I know we can save those in separate file but it doesn't help to keep things quick. We should be able to save our height and body dimensions as defaults intead being forced to pick them after opening a video. 3. Callibration file. 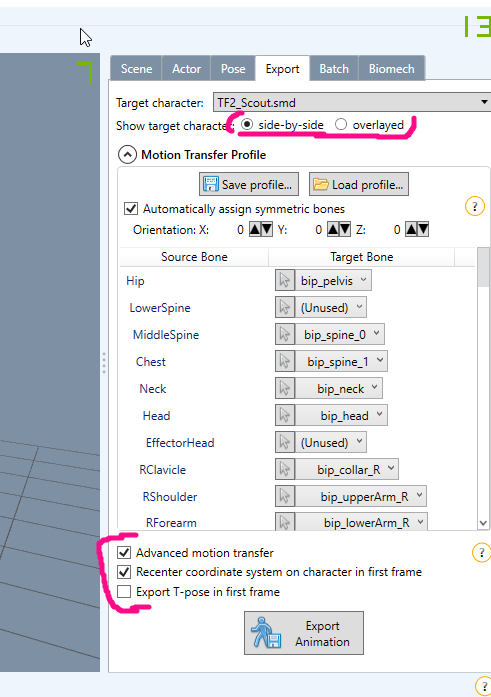 In the second iterration of Mocap Studio callibration file would assign automatically if it's stored next to the project file. Please bring this feature back. 4. Separate memory for explorer folders for New Project, Open Project, Open Animation, Set Target Character, Export Animation etc. The problem here is whenever I choose one of these options it would reassign this folder for the other features. It extends the work time since I have to go back to pick a folder each time. Some kind of separate memory would a nice feature or at least give us an option to pick default folders. Overall I think iPi is great software for what it does and it needs some UI polishing and workflow upgrades so we can be more efficent with it than we are now. The sooner it is implemented the better. Thank you for using our software and for your input. How do you see it - as global or as per project settings? Currently, actor file is loaded automatically on project creation when it is next to a video file. Maybe we should include additional places into search for actor parameters. Like existing action projects next to a video file, or recently used projects. The most recent project if it is a calibration one. Scene files next to a video. Calibration projects next to a video. Looks like this order does not fit your workflow well. View tab as global defaults. Sliders as project settings.